(A2G 2.0 Coolant Thermostat 95 to 97 Firstline 60602148. A2G) Saloon Petrol 03/1995 12/1997 FWD 16 150 110. Function Thermostat, coolant. A4N) Saloon Petrol 05/1996 12/1997 FWD 16 140 103. A1A) Hatchback Petrol 12/1996 12/1998 FWD 16 140 103. (A1E) Saloon Petrol 09/1992 12/1997 FWD 12 163 120. A1) Saloon Petrol 03/1992 05/1995 FWD 12 165 121. C2A) Coupe Petrol 06/1995 09/1998 FWD 12 202 148. Function Water Pump. Applicable Vehicles. DELPHI WP2172. Suitable for impeller size 76mm. Water Pump. FIAT / ALFA. WATER PUMP. GENUINE NEW. WATER PUMP. Water Pump Pulley Ø: 70.8 mm. Our Part No's / OE PART NUMBER VAP1729FWP-D. Other Information. Water Pump fits ALFA ROMEO 155 Saloon - 92>97 - 8MP376801464. DEDRA 1.8 GT. GTV II 2.0 I. GTV II 2.0 T. Thermostat, integral. DELTA II 1.8 I. SPIDER 2.0 I. Engine code183 A1.000. 03/96 - 07/99. (FIAT 71716898. LANCIA 71716898. A3) Saloon Diesel 04/1993 12/1997 FWD 8 90 66. A4) Hatchback Diesel 10/1994 02/1999 FWD 8 90 66. B4A) Hatchback Diesel 12/1994 02/1999 FWD 8 90 66. Function Water Pump. Plastic T Piece Hose Connector You are purchasing a single T piece connector suitable for 14mm internal diameter tube. Temperature: -30 140 C Size: 7cm x 4.3cm Usable length: 2.5cm Easy Push-fit High Quality Can be used with water, Air, Fuel, anti-Freeze ,Petrol, Diesel etc. Can be used in Marine, Aquarium and Ponds hose connections. Carriage is free however much you order Excluding international sales. Various sizes available in our store. FAST DISPATCH PLEASE NOTE Important notice BEFORE ordering Please DO NOT rely on the compatibility list to make your decision of parts, as cars come with many variations and fitments on the same make and models. Check things like dimensions size and other stated fitment criteria prior to ordering to make . Part Number: LWS010 (Ref.Only). SENDER UNIT COOLANT TEMPERATURE. Product Type: SENDER UNIT COOLANT TEMPERATURE. Model: 155. Valve(s) Fuel/Body Type KKW/Bhp Drive Engine Code. Length (mm) 37. Width (mm) 56. (A1G) Saloon Diesel 04/1993 12/1997 FWD 8 125 92. K2B) Saloon Diesel 09/1992 09/1998 FWD 8 125 92. Function Water Pump. FORD 1 143 873 1032940 1143873 V97DD-8501-AA V97DD8501AA V97DX-8591-AB V97DX8591AB. Plastic T Piece Hose Connector You are purchasing a single T piece connector suitable for 16mm internal diameter tube. Temperature: -30 140 C Size: 7.2cm x 4.5cm Usable length: 2.5cm Easy Push-fit High Quality Can be used with water, Air, Fuel, anti-Freeze ,Petrol, Diesel etc. Can be used in Marine, Aquarium and Ponds hose connections. Carriage is free however much you order Excluding international sales. Various sizes available in our store. FAST DISPATCH PLEASE NOTE Important notice BEFORE ordering Please DO NOT rely on the compatibility list to make your decision of parts, as cars come with many variations and fitments on the same make and models. Check things like dimensions size and other stated fitment criteria prior to ordering to make . (LANCIA 60563989, 60812278. A1) Saloon Petrol 03/1992 05/1995 FWD 12 165 121. A1E) Saloon Petrol 09/1992 12/1997 FWD 12 163 120. Function Thermostat, coolant. BXB00) Estate Petrol 03/2002 05/2006 FWD 24 250 184. (BXB00) 3179 2002.03 - 2006.05. A1) 2492 1992.03 - 1995.05. A1E) 2492 1992.09 - 1997.12. NEW COOLANT THERMOSTAT CTM-AR-000. NTY THERMOSTAT. Our compatibility list of vehicles that could be fitted with this part is based on a catalogue information and it gets regularly updated to best of our knowledge. Plastic Straight Hose Connector You are purchasing a single straight connector suitable for 16mm internal diameter tube. Temperature: -30 140 C Size: 7.2cmUsable length: 3cm Easy Push-fit High Quality Can be used with water, Air, Fuel, anti-Freeze ,Petrol, Diesel etc. Can be used in Marine, Aquarium and Ponds hose connections. Carriage is free however much you order Excluding international sales. Please note colour of plastic may vary Various sizes available in our store. FAST DISPATCH PLEASE NOTE Important notice BEFORE ordering Please DO NOT rely on the compatibility list to make your decision of parts, as cars come with many variations and fitments on the same make and models. Check things like dimensions size and other stated fitment criteria prior to ordering. 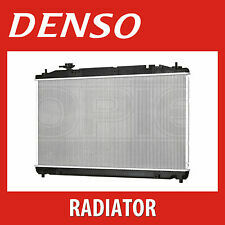 Universal Cooling Radiator. We will do our best to solve it and satisfy you. (A1G) Saloon Diesel 04/1993 12/1997 FWD 8 125 92. Function Water Pump. CHRYSLER TACUMA Mk II (GS) 2.5 TD MPV Diesel 01/1995 03/2001 FWD 8 116 85. FIRST LINE FWP2298. CHRYSLER TACUMA Mk II (GS) 2.5 TDiC AWD MPV Diesel 10/1995 03/2001 AWD 8 116 85. (FIAT 60809209, 60810426, 71737965, 7708187, 7747382, 7747388. LANCIA 60809209, 60810426, 71737965, 7708187, 7747388. A2E) Saloon Petrol 01/1992 12/1997 AWD 16 186 137. A2E) Saloon Petrol 03/1992 12/1997 AWD 16 190 140. (Function Sensor, coolant temperature. A3A) Hatchback Petrol 12/1996 01/2001 FWD 16 103 76. A2) Hatchback Petrol 12/1996 01/2001 FWD 16 120 88. A6A) Saloon Petrol 05/1996 12/1997 FWD 16 120 88. A2E) Saloon Petrol 01/1992 12/1997 AWD 16 186 137. (A2G 2.0 Water Pump 95 to 97 Coolant QH 60586222 60811328. CHRYSLER 60586222, 60811328. FIAT 60586222, 60811328. LANCIA 60586222, 60811328. A2G) Saloon Petrol 03/1995 12/1997 FWD 16 150 110. A4N) Saloon Petrol 05/1996 12/1997 FWD 16 140 103. Car Parts - QH. Wiper Blades. Wash Cloths & Accessories. The above policies do not affect your statutory rights. Exhaust Repair. Your browser does not support HTML5 video. Product images are for illustrative purposes only. (FIAT 46407762 46407766 46435858 5896815 60812263 71737975 71737988 7555039 7629228 7648451 7692278 7692552 7692555 7715051. LANCIA 46435858 60812263 71737988. A3) Saloon Diesel 04/1993 12/1997 FWD 8 90 66. Plastic Reducer Piece Hose Connector You are purchasing a single reducer piece connector suitable for 12mm and 8mm internal diameter tubes. Temperature: -30 140 C Size: 7cm Usable length: 2.7cm and 2.5cm Easy Push-fit High Quality Can be used with water, Air, Fuel, anti-Freeze ,Petrol, Diesel etc. Can be used in Marine, Aquarium and Ponds hose connections. Carriage is free however much you order Excluding international sales. Please note colour of plastic may vary Various sizes available in our store. FAST DISPATCH PLEASE NOTE Important notice BEFORE ordering Please DO NOT rely on the compatibility list to make your decision of parts, as cars come with many variations and fitments on the same make and models. Check things like dimensions size and other . (FIAT 182A2000, 182A2001, 60586222, 60811328. LANCIA 60586222, 60811328. A4E) Saloon Petrol 02/1992 05/1994 FWD 8 129 95. A4N) Saloon Petrol 05/1996 12/1997 FWD 16 140 103. A4E) Saloon Petrol 03/1992 12/1996 FWD 8 127 93. 1 x BRAND NEW WATER PUMP MEYLE GERMANY 2 YEARS WARRANTY FITS Model Year Body Style ALFA ROMEO - 155 (167) - 2.5 TD (167.A1A) 04.93 - 12.97 Saloon ALFA ROMEO - 164 (164) - 2.5 TD (164.K2A, 164.K2B) 09.92 - 09.98 Saloon PLEASE CONFIRM FITMENT BEFORE PURCHASE, IF UNSURE FEEL FREE TO ASK. Coolant Temperature Sensor VE718062 Cambiare. Part Number VE718062. Length 92mm. Weight 59g. LANCIA PRISMA (831AB0) 2.0 i.e. All-wheel Drive Saloon Petrol 04/1986 12/1989 AWD 8 115 85. LANCIA Y10 (156) 1.1 Avenue All-wheel Drive (156AG) Hatchback Petrol 01/1995 12/1995 AWD 8 54 40. Plastic T Piece Hose Connector You are purchasing a single T piece connector suitable for 3mm internal diameter tube. Temperature: -30 140 C Size: 2.6cm x 1.5cm Usable length: 1cm Easy Push-fit High Quality Can be used with water, Air, Fuel, anti-Freeze ,Petrol, Diesel etc. Can be used in Marine, Aquarium and Ponds hose connections. Carriage is free however much you order Excluding international sales. Various sizes available in our store. FAST DISPATCH PLEASE NOTE Important notice BEFORE ordering Please DO NOT rely on the compatibility list to make your decision of parts, as cars come with many variations and fitments on the same make and models. Check things like dimensions size and other stated fitment criteria prior to ordering to make sure you get the correct. (A1G) Saloon Diesel 04/1993 12/1997 FWD 8 125 92. K2B) Saloon Diesel 09/1992 09/1998 FWD 8 125 92. Function Water Pump. FORD 1032940, 1143873, V97DD8501AA, V97DX8591AB. FORD SCORPIO Mk II Turnier (GNR, GGR) 2.5 TD Estate Diesel 09/1996 08/1998 RWD 8 125 92. (A1G) Saloon Diesel 04/1993 12/1997 FWD 8 125 92. Function Thermostat, coolant. CHRYSLER TACUMA Mk II (GS) 2.5 TD MPV Diesel 01/1995 03/2001 FWD 8 116 85. CHRYSLER VOYAGER II (ES) 2.5 TD MPV Diesel 01/1992 09/1995 FWD 8 118 87. (LANCIA 5896818, 7629033, 7693570, 7696226. A3) Saloon Diesel 04/1993 12/1997 FWD 8 90 66. A4) Hatchback Diesel 10/1994 02/1999 FWD 8 90 66. B4A) Hatchback Diesel 12/1994 02/1999 FWD 8 90 66. Function Water Pump. (OEM Numbers: 60602148. FIAT 60602148. LANCIA 60602148. A1A) 03/1998 -. A1A) 12/1996 -. A5) 10/1995 -. B1A) 11/1996 -. B5) 10/1995 -. Any information in the compatibility table is for reference only and there may be unspecified choice options. Labour claims & consequential loss claims are never accepted. Engine Code: AR 67103 | Manufactured Before: 5/ 1995 | Engine Code: AR67103. (A2G 2.0 Coolant Thermostat 95 to 97 B&B 60602148 60812410. A2G) Saloon Petrol 03/1995 12/1997 FWD 16 150 110. Function Thermostat, coolant. A4N) Saloon Petrol 05/1996 12/1997 FWD 16 140 103. A1A) Hatchback Petrol 12/1996 12/1998 FWD 16 140 103. The safety and operational reliability of a motor vehicle hinge on the quality and durability of its components. Experts at Wulf Gaertner Autoparts AG have re-engineered OE designs to optimise part performance. Plastic T Piece Hose Connector You are purchasing a single T piece connector suitable for 10mm internal diameter tube. Temperature: -30 140 C Size: 6.6cm x 4.1cm Usable length: 2.7cm Easy Push-fit High Quality Can be used with water, Air, Fuel, anti-Freeze ,Petrol, Diesel etc. Can be used in Marine, Aquarium and Ponds hose connections. Carriage is free however much you order Excluding international sales. Various sizes available in our store. FAST DISPATCH PLEASE NOTE Important notice BEFORE ordering Please DO NOT rely on the compatibility list to make your decision of parts, as cars come with many variations and fitments on the same make and models. Check things like dimensions size and other stated fitment criteria prior to ordering to make . (Function Sensor, coolant temperature. A6A) Saloon Petrol 05/1996 12/1997 FWD 16 120 88. A4N) Saloon Petrol 05/1996 12/1997 FWD 16 140 103. A2G) Saloon Petrol 03/1995 12/1997 FWD 16 150 110. A1G) Saloon Diesel 04/1993 12/1997 FWD 8 125 92.